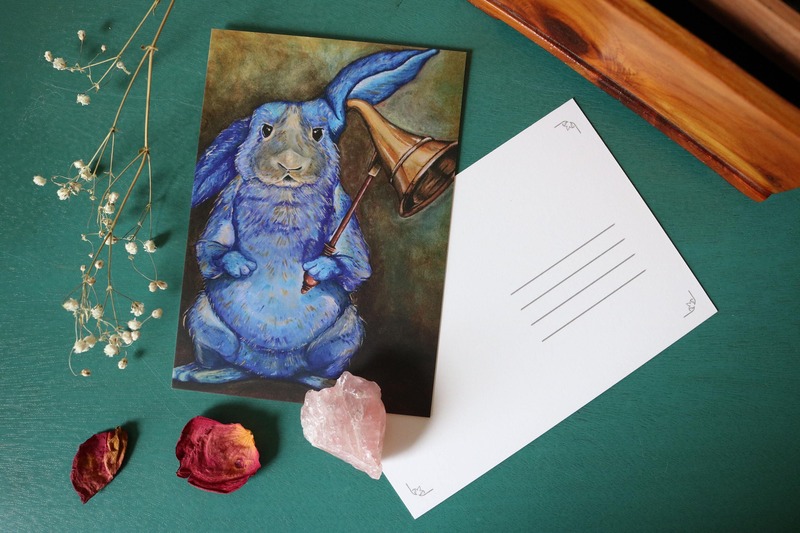 Postcard print of 'All Ears' Blue Rabbit painting, printed on acid free, quality stock. Yay! So so happy! My post card arrived just a few short days after I purchased it online. It came in a super protective (but not wasteful amount) packaging. No creases or anything, it was just perfect. Can't wait to hang up my piece of mini art. Thank you, CreaturesVirtue! !